That's a question posed, quite bluntly, by the game's big bad guy, moments into Destiny 2's introductory mission. 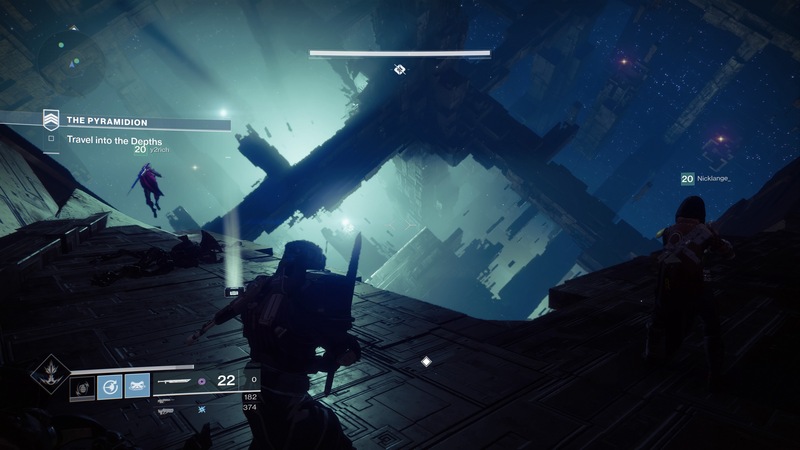 It puts across the game's intent, coming at the end of an opening level that sets itself to tearing apart all of the established lore from the first Destiny, and its tone, too. 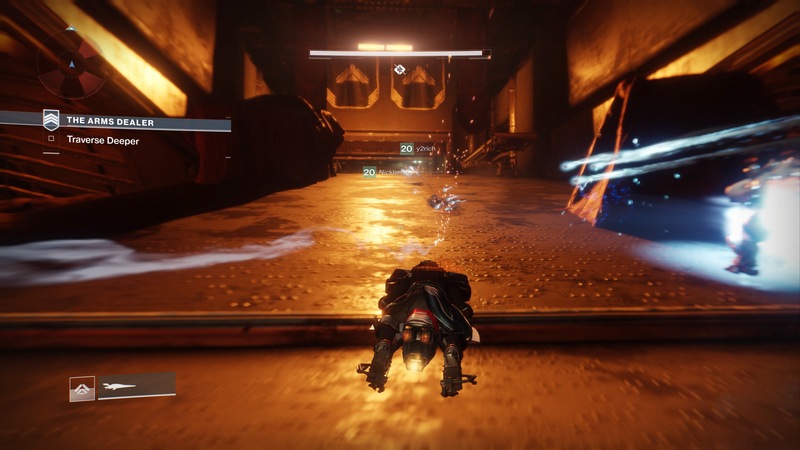 Destiny 2's story mode opens bleak, making you play for 30 minutes on the back foot, getting shot, kicked, stabbed, and really messed up before the training wheels are taken off and you're allowed to play with the others. This opening, tightly written and tonally focused, sets up the stakes of Destiny 2 better, and ensures you actually pay a bit of attention to the story before you group up for some of the ol' loot and shoot. The story is more rigid, and I felt like I had a drive to complete it, not just for getting myself to max level, snagging level 20 midway through the final mission, but also for finding out what happens. 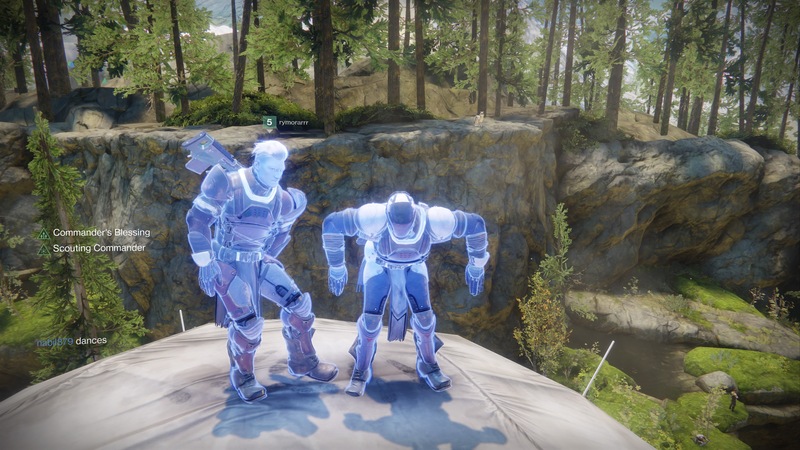 At the start of the game, the last city of mankind is torn apart by enemy forces, and you're the only Guardian — you and every other player of Destiny 2, in honesty — who still has access to the light, the magical force that lets your Guardian bring the pain and unleash their abilities. To start the fight back, you'll have to venture around several planets to gather up your lost and demoralised forces and try to convince them to rejoin your resistance, despite their lack of superpowers. These planets are a joy to visit and better designed than those in its predecessor, with each world having a distinctive character and geography. You might be exploring planets again for Destiny's sequel, but there's nothing as boringly mapped as, say, Mars. Most of the map design and locales in Destiny 2 resemble some of the finest offered by the original. It's all killer, no filler. In fact, Destiny 2's biggest strength is that it keeps everything that was great from Destiny: the solid shooting and frenetic combat that Bungie is so good at, the oodles of loot and big swathes of content. 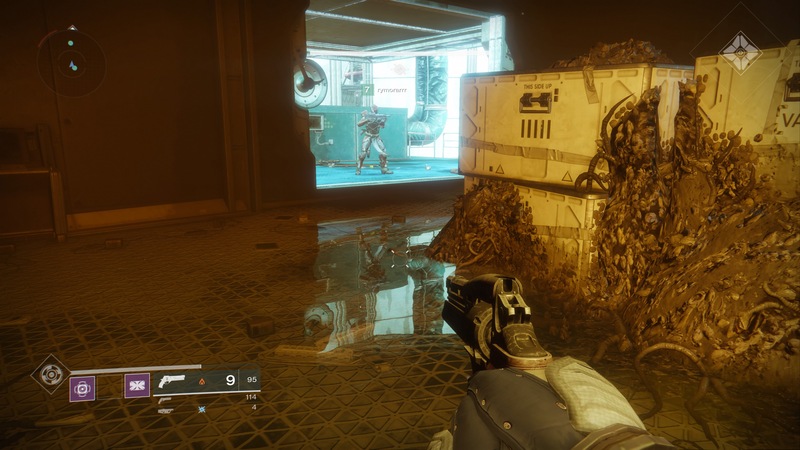 Many of the annoyances of the original game- the loading screens and the constant returns to the Tower to pick up quests or challenges or decrypt engrams, for example - are now gone, too. This means it's much easier to just sit and play Destiny 2, which is a strength that can't be overstated. You spent a lot less time on the busywork that's prevalent in MMO games, so the ratio of play to maintenance is more heavily skewed towards the play side. As Destiny 2 is an MMO, a review that looks at the product as a whole is difficult to put together. This difficulty is deepened as Destiny 2's first Raid hasn't launched yet and won't be in the game until later this week, a couple of weeks after the game's launch. I've put about 20 hours into the game, 10 of which were spent beating the game's campaign as a Titan as a mix of both solo and group play. The remaining 10 was spent digging into the game's strikes, adventures, and public events as I tried to grind out reputation markers. The game runs at a different pace when played solo compared to as a group. Respawns are often limited during the tougher missions, and as a group you've got someone to pick you up as you surge forwards in a swirl of particle effects and controlled aggression. Play solo and death dumps you back to the last checkpoint, meaning the boss fights and last stands that punctuate the missions are tenser. Both are attractive in their own way, although I found that once I was finished with the storyline running around ticking off challenges and quests solo was a little tiresome, but playing as a group created more tactical opportunities and, provided you actually get on with your friends, voice communication that papered over the boredom as you travel from place to place. The game is focused until you hit the end of the campaign and max level. 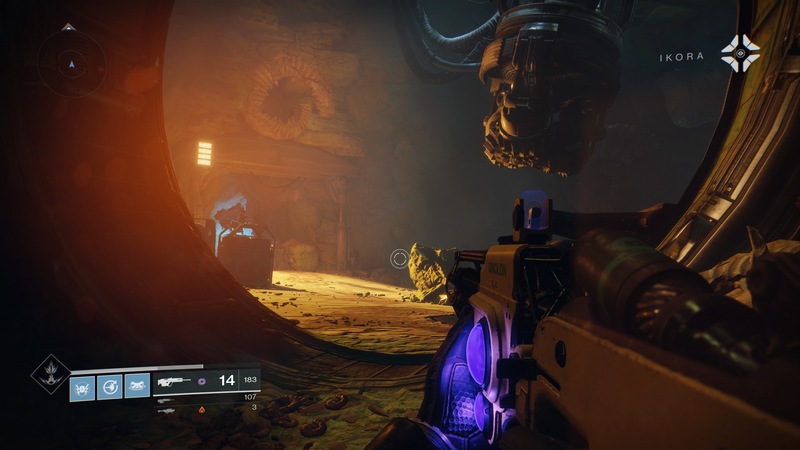 Many of the 'grind' activities, such as the strikes, patrols, and challenges that offer up the highest level gear, are locked away until you hit level 20 for the first time. Some of the more advanced runs, like the Nightfall instance and the soon-to-be-unlocked Raid, will require higher power levels. Hitting power level 260 is relatively painless, with you ticking off your daily and weekly challenges as you accumulate higher level pieces of gear. After 260, things start to slow right down, but as the max level is currently 300, it'll add some longevity to those. The Crucible mode, designed for PvP brawls, has now been scaled back to 4 v 4 match-ups, and these smaller brawls are tense, although the times for matchmaking felt remarkably long, something that will hopefully become better as more players dive into the game but which at this early point made getting early Crucible quests difficult. The problems with the Crucible run slightly deeper. Fans expecting multiplayer matching up to Bungie's Halo efforts will be disappointed, and the game feels unbalanced. A 4 v 4 match-up means that one player's high skill can dominate an entire game, while the range of exotic weapons means you can be killed quickly without much of a time to react. 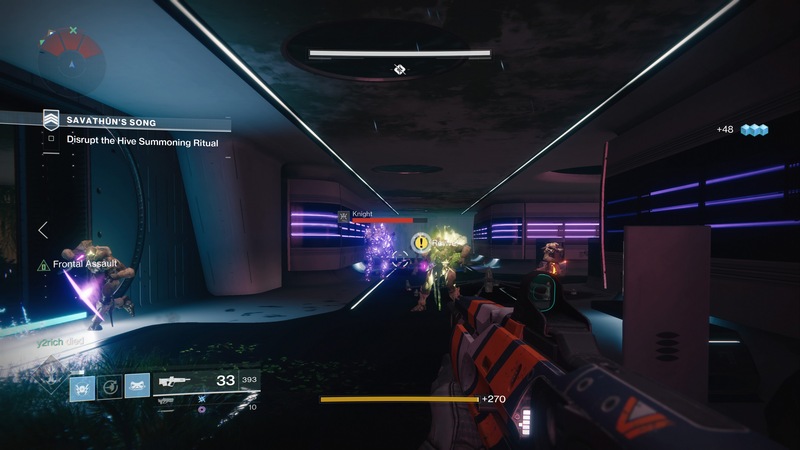 If you don't manage to grab the power weapon ammo when it drops at specified times, you could be hit with a rocket launcher, sniper rifle, or sword and killed outright. Power weapon ammo spawns at a point shown on the map, and if you start to lose control of the map, which happens often as a losing team, you'll be unable to secure the ammo drop, so a winning team can quickly snowball. Balance changes do mean that there's a good chance this won't be the case later on, but right now it feels like a particularly weak chunk in an otherwise excellent game. Somehow, Bungie has managed to refine Destiny's core formula into something franchise fans didn't know they wanted: a stripped back version of the game that both looks and plays better than the original but retains the same depth. This is Destiny at its best and at its most accessible. It's not perfect, but it's going to eat your entire life anyway.